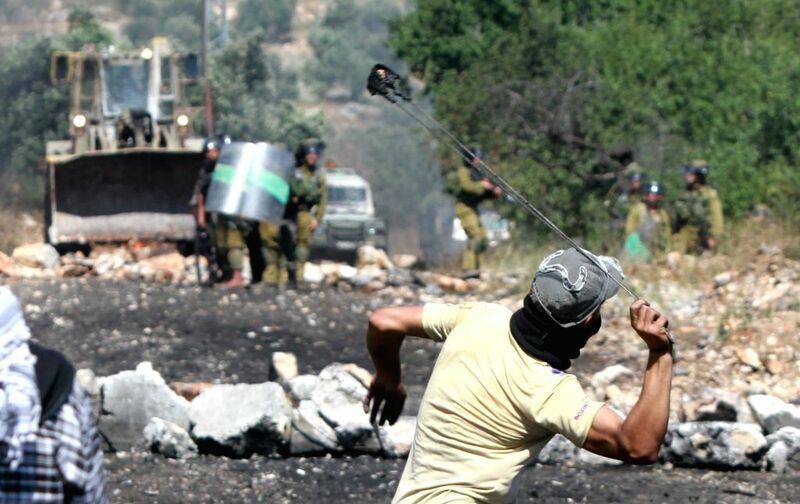 NABLUS, May 9, 2014 - A Palestinian protester throws stones at Israeli soldiers during a protest against the expanding of Jewish settlements in Kufr Qaddoum village near the West Bank city of Nablus on May 9, 2014. 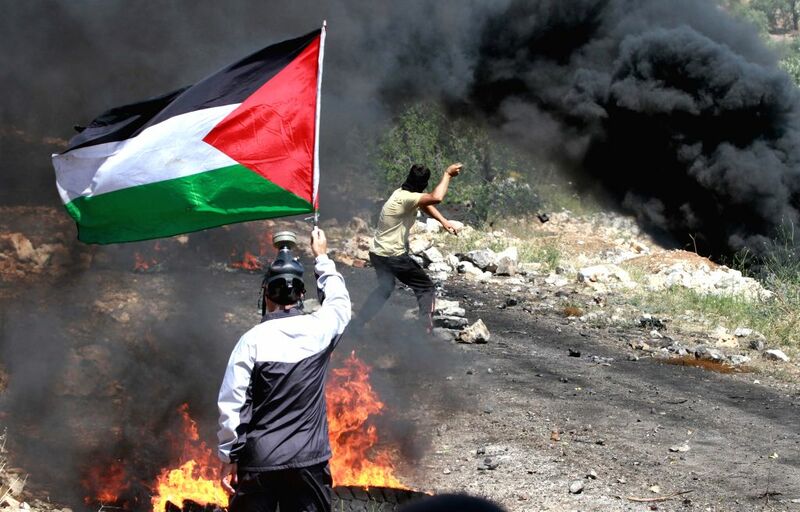 A Palestinian protester holds a flag as he takes part in a protest against the expanding of Jewish settlements in Kufr Qaddoum village near the West Bank city of Nablus on May 9, 2014. 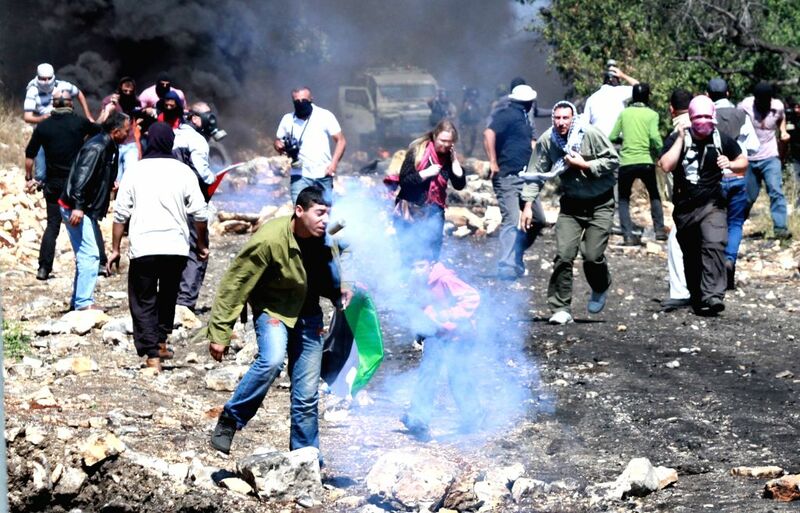 Palestinian protesters run away from tear gas fired by Israeli soldiers during a protest against the expanding of Jewish settlements in Kufr Qaddoum village near the West Bank city of Nablus on May 9, 2014.